The energy-efficient 920R Series of coalescent oil separators is designed for maximum energy-efficiency. Temprite separators make refrigeration systems clean and green by lowering energy costs and reducing carbon emissions. Highest measured capacity of refrigeration. Lowest kilowatts required per unit of cooling (per ton). Dirt, contaminants and excess refrigerant oil are the biggest energy drains on refrigeration systems. New refrigerants have an enhanced solvent effect, meaning more dirt and contaminants can clog your system. Exceptional Temprite Standard Filter technology cleans contaminants down to 0.3 microns in size. Eliminating solid contaminants and excess oil enhances the entire system’s performance. Thermostatic Expansion Valves (TXV) work more efficiently. Desiccant in filter/driers is more effective when not logged with oil, preventing moisture from being absorbed. Solid contaminants are harmful to sensors and other delicate components. In large parallel rack/multiplex systems with long lines, dirt and excess oil put an even greater drag on system efficiency. Both problems are eliminated with the 920 Series separators, increasing system capacity and efficiency and lowering energy costs. Energy savings scale up with larger systems. 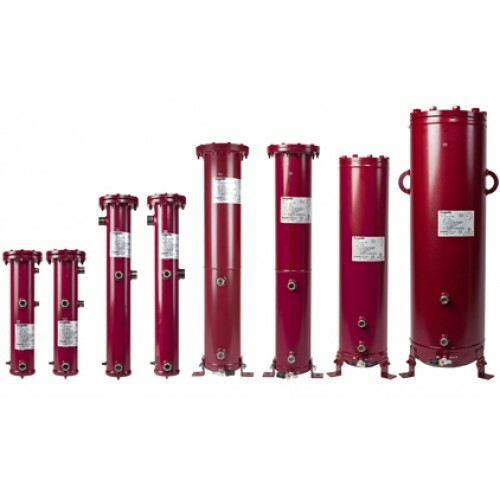 920R Series separators are ammonia (NH3) compatible and designed for 650 PSI. Because ammonia is a cleaning agent, more dirt is removed from the system and deposited in the filter. 920R separators offer easy accessibility to the Temprite Standard Filter for changes. 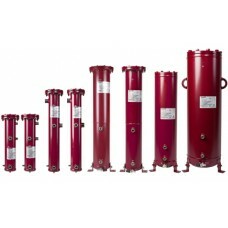 Other products require disassembling and re-welding the separator for filter changes. An oil reservoir is built into each 920R Series coalescent oil separator. The built-in reservoir reduces piping, components and potential leaks and creates a stable, high-pressure oil system. Because the oil reservoir is built-in, 920R Series separators do not have a float.